Why do people want to get rid of flea beetles? Let’s just say flea beetles can jump, like fleas — get it? And if you have been waking up to a garden that looks like it’s been blasted with a shotgun, don’t worry, the mob doesn’t have contracts out on your cabbage; that’s the result of flea beetles feeding on your cabbage, sprouts, tomatoes, peppers, and other delicious vegetables. Flea beetles are notoriously hard to control because almost every locale has several species of them, with each species having very particular tastes in veggies. This makes crop rotation and polycultural planting techniques less effective than they are with other garden pests. Your tomatoes might be doing fine on one side of your garden, while your potatoes are getting drilled by tuber flea beetles on the other side of your garden. Nevertheless, there is plenty of literature available on the control and management of beetle populations. We’ll start with the least intensive control measures and work our way to last resorts. These measures can be used as standalone techniques or they can be combined to create a system of pest control called integrated pest management — the integration of several chemical-free flea beetle control strategies. 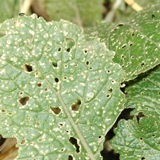 The most obvious sign of a flea beetle infestation is called shot-holing on the leaves of plants. We call it this because the damage looks a lot like the leaves have been peppered with bird shot. Not only can this type of feeding kill young plants, but flea beetles are also common vectors for bacterial and viral diseases. So if the feeding doesn’t kill your potatoes, blight might finish the job for you. And then what will you use to make french fries? Flea beetles emerge from overwintering in mid to late spring, laying eggs as quickly as a week from when they start feeding on your plants. These eggs take roughly a week to hatch, at which point the larvae burrow into the ground beneath your plants to feed on their roots for two to three weeks. Once they’ve fed enough, they turn into pupae and reach adulthood within a week to a week and a half. Depending on the climate, two to four generations of flea beetles can be produced over the course of one growing season. The first measure to be taken is to do a polycultural planting, making sure to intersperse plants that are susceptible to damage with plants that flea beetles rarely touch. Flea beetles, for the most part, are attracted to small seedlings of common European vegetable crops. These crops would include cabbages, lettuces, peppers, tomatoes, potatoes, kale, eggplant and a host of different food plants. You may want to try planting ornamental plants between rows of vegetables, thus hampering the migration of flea beetles from plant to plant. If this means planting something you might otherwise consider to be a weed, so be it. Ensuring that your plants are getting plenty of water and nutrients will help them better resist flea beetles and avoid feeding damage. This might sound like common sense, but plants that are already being stressed by a lack of water or fertilizer can be destroyed by flea beetles overnight. A good watering and fertilizing regimen can mean the difference between enjoying fresh tomatoes on a dinner salad or waking up to a row of dead tomato plants. Food grade diatomaceous earth will help get rid of flea beetles or at least prevent them from feeding on your plants. Diatomaceous earth is an incredible thing. It’s a soil composed of fossilized, microscopic algae with razor sharp edges, which are non-toxic to most mammals but fatal to bugs and insects that come into contact with it. Dusting plants with diatomaceous earth has been shown to reduce adult flea beetle feeding to a tolerable level in areas where populations have gotten out of hand. You can get a 10 lb bag from Amazon for a decent price. Botanical pesticides are one of the most effective means of getting rid of flea beetles, but they should be used as a last resort. 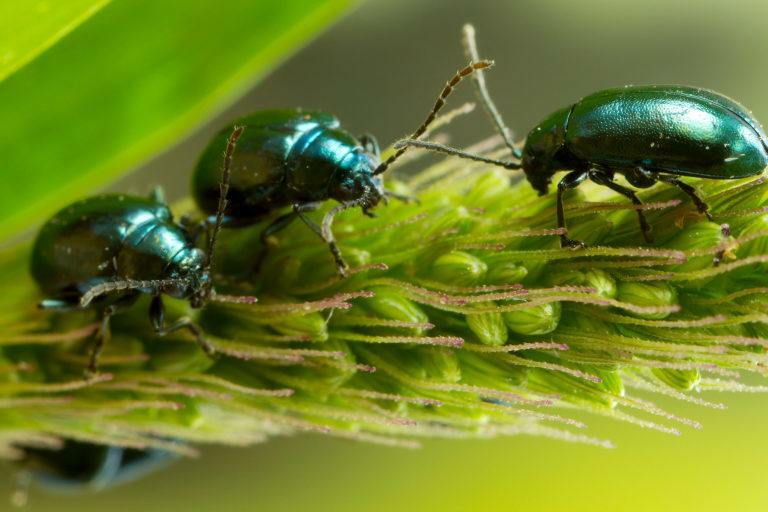 Oils and extracts like neem, sabadilla, rotenone, and pyrethrin are considered to be some of the most effective botanical pesticides labeled for use on flea beetles. Mixed with an oil, as suggested by the National Sustainable Agriculture Information Service (ATTRA), botanicals like rotenone can be almost 100% effective at killing flea beetles when sprayed on infested plants. Just keep this in mind when you are planning your next attack on the flea beetles in your garden, and check out some of the natural and organic controls we’ve offered for you here. Enjoy. Insect repellents that contain garlic, mint, or hot peppers have shown potential in reducing the amount of feeding done by adult flea beetles on plants sprayed with these repellents. Note that these oils will degrade quickly outside, so you will have to reapply them on a fairly regular basis. You may even want to try using these plants as barriers for your vegetable garden, but this might be a long shot. Parasitic nematodes are also an option for getting rid of flea beetles naturally, but they are usually effective only when there is an established population of flea beetles in the area. Nematodes attack the beetle larvae, not the adult beetles. They are meant to disrupt the life cycle of a population, not as a quick fix. Timing the application of nematodes is key when trying to control flea beetles, so make sure you know when and where to apply these worm friends of ours. You can find beneficial nematodes at Amazon. Row covers are helpful if you know when flea beetle populations are going to peak. 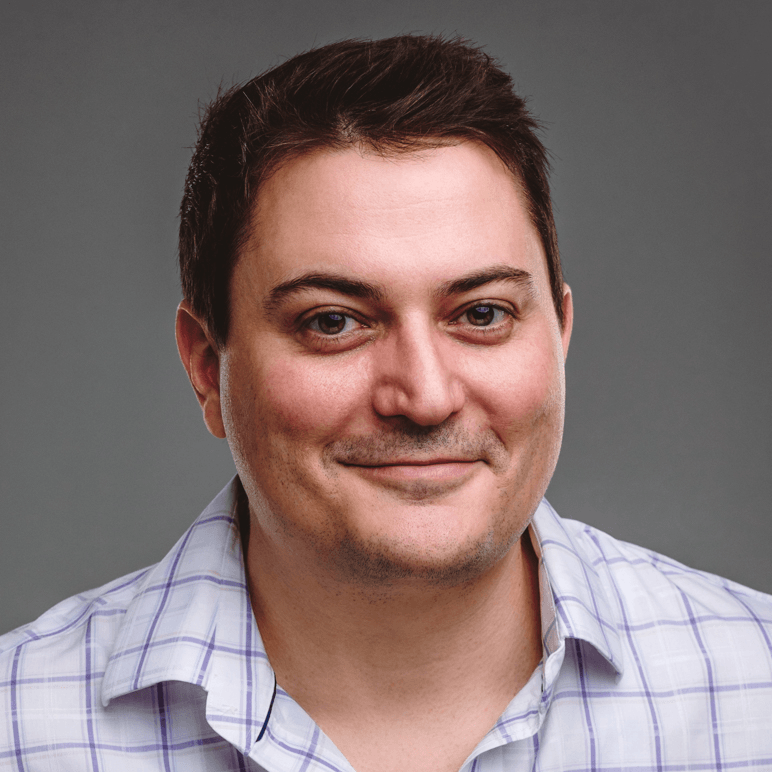 Caution should be used, however, when implementing this strategy because even the smallest tear in your floating row cover will allow entry, thus defeating the purpose of coverage in the first place. The same is true if flea beetles have already laid eggs in the roots of the plants you’re trying to protect. Tilling during the autumn months will help kill flea beetles and disrupt their overwintering sites.